1. 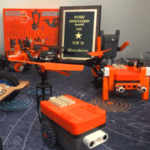 Itty Bitty Buggy is the KAPi Award winner this year for Best Maker Spirit. 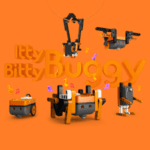 Buggy is truly a code programmable toy (CPT). It’s smart, easy to use and programmable with Scratch via a PC/Mac and Chromebook. Kids come to understand the power that coding has on a physical device by modifying the programs; a great beginning STEAM toy for younger kids. Buggy is colorful, fun and can be made into a sloth, dodo bird, ladybug and alien. 2. Itty Bitty City is the sister companion to Itty Bitty Buggy and is also based on Microduino’s mCookie technology. Users can build the projects provided but can also easily create and program their own projects, integrating other form factors, such as 3D, using Microduino’s mounting design files. 3. Sequencing series for STEAM is appropriate for kids in elementary school through high school. Kids learn how to assemble basic circuitry with mPuzzle and move on to hardware coding with mPie. These programs provide colorful learning materials for teachers and students. Itty Bitty Buggy and Itty Bitty City show students where STEAM is heading via intelligent CPU-based projects. 4. MIX Kits 1, 2, 3 & 4 is how kids reinforce using logic and problem solving through the introduction of new components that expand their knowledge and skill set. With over 1,000 pages of project-based lesson plans combined, Microduino’s MIX kits serve a dual purpose: great for school hackathons and IoT projects, too. Microduino is best known for their products such as the mCookie series; a series of small, stackable, and Arduino-compatible electronic building blocks. Their collection of easy-to-use, snap-together magnetic components, without the need for messy wiring or soldering puts them on the cutting edge of STEM/STEAM technology. 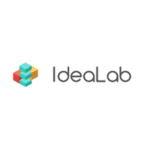 Their slogan, “Creativity Is Contagious” was selected because of the multiple projects that can be made with their product kits; there are no limits to one’s imagination! 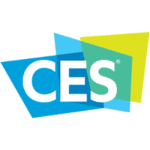 *CES® is a registered trademark of the Consumer Technology Association.